Little Italy is Right In Skippack Village! Little Italy is Right In Skippack Village! Take Your Family To Basta Pasta Today! Welcome to your taste of Italy right in Skippack Village! 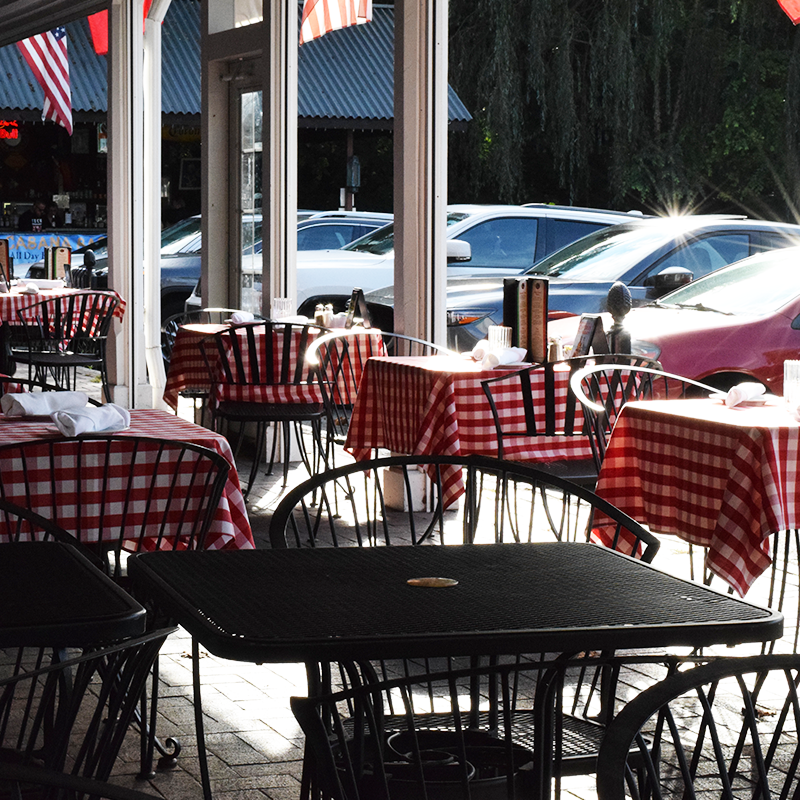 Basta Pasta offers family friendly Italian cuisine 7 days a week, along with two full service bars. Being located centrally in the village provides convenient access to the large restaurant from wherever you are in the village at any time! Enjoy live music, enormous portions, and seasonal cocktails at one of Skippack’s most popular restaurants! An excellent family environment and wonderful customer experience is at the top of Basta Pasta’s must-have list. Their multi-page menu is also sure to have just what you are in the mood for, whether it’s house-made pasta, pizza, enormously portioned classic Italian dishes or even paninis for lunch. Basta Pasta also prides themselves in offering two full service bars! 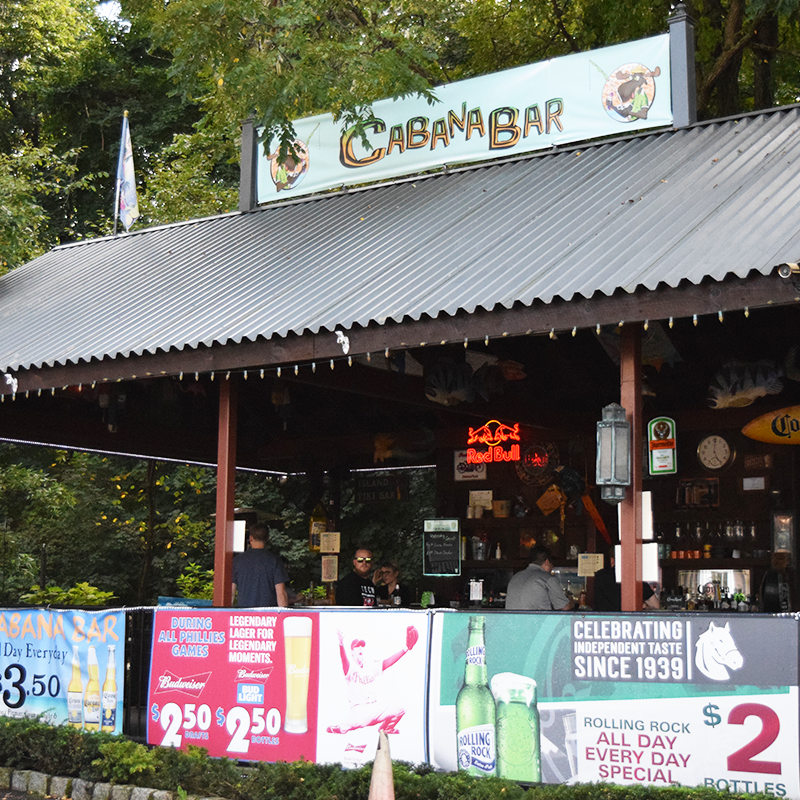 The Cabana Bar is located outdoors right on the property just steps away from Basta Pasta’s main dining room. While they are open only seasonally, The Cabana Bar offers a ‘vacation-like’ experience right in your home town. When Cabana Bar closes for the winter season, do not worry! 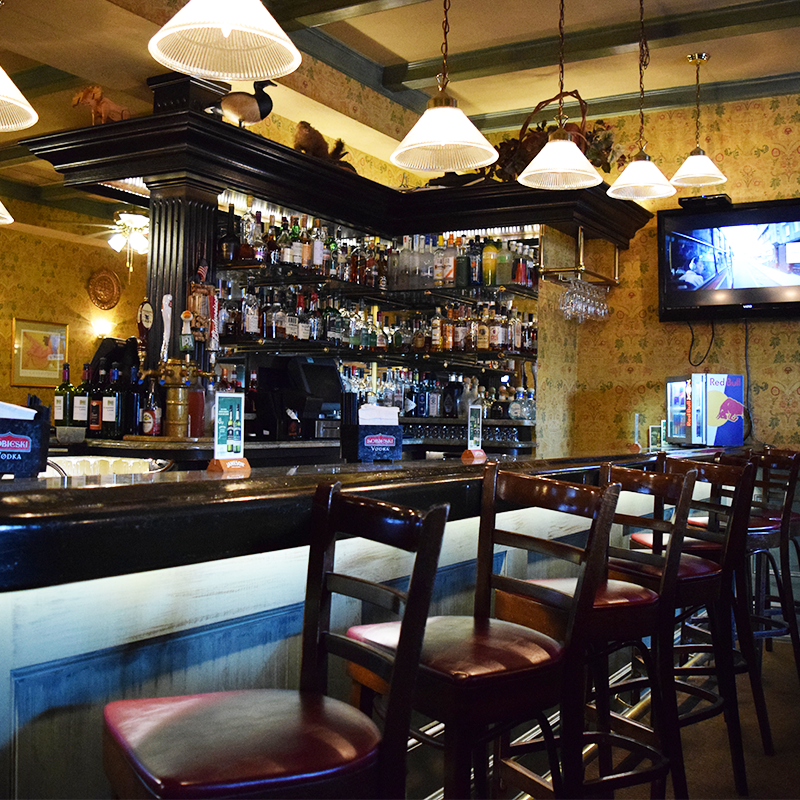 The Caribou Club will happily serve you indoors, where they are a non-smoking full-service bar separated from the dining room of Basta Pasta. They would also love to have you for Happy Hour, Monday through Friday from 4pm-6pm. The Caribou Club and Cabana Bar also feature a seasonally shifting Martini and Wine Menu for the ultimate seasonal bar experience. Customer Service is one of Basta Pasta’s strong suits, right next to their delicious food and beverages. Pam and Sandy, co-managers of Basta Pasta, assure that you will have a wonderful experience when you visit, and hopefully will keep coming back for more! Pam and Sandy have been co-managing Basta Pasta since its’ Grand Opening 15 years ago and have no plans to do anything else. Not only do they create a family-friendly atmosphere for their guests, but behind the scenes, their staff is close like family as well, with some having been there for over 10 years! “We all take care of each other here,” says Pam about her staff. Pooling tips is one major component to this team of a staff. Working together and helping each other out is the best way to provide the guest with the best experience possible. You will not have ‘1 server’ when you visit, rather most of the staff will be helping to take care of your table in the friendliest of ways, to ensure that everything is taken care of without a hitch. 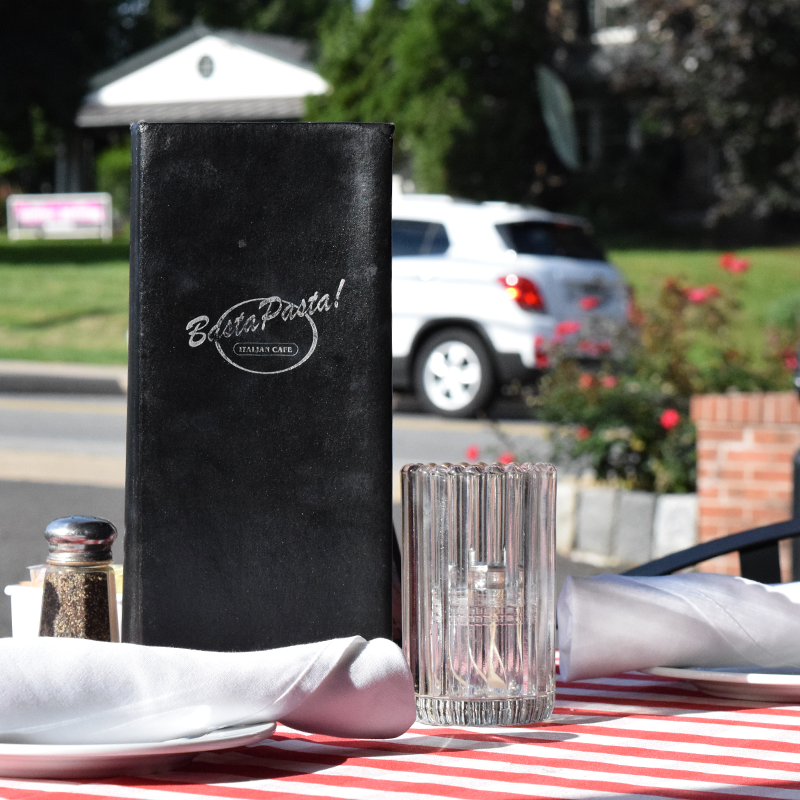 Dinner and lunch specials are always happening at Basta Pasta! Every Friday and Saturday night, there is live music through November. Wednesdays are All-You-Can-Eat Crab Legs, Mondays are All-You-Can-Eat Mussels, and Tuesdays are ½ priced kids meals! 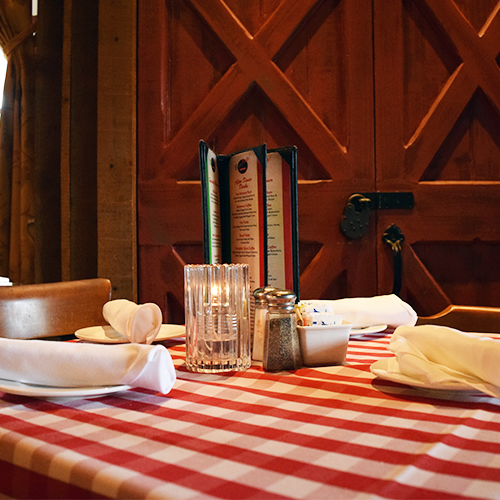 Whether you dine inside, or outside on their heated patio that converts to an indoor section seasonally, there is not a bad seat in the house! Basta Pasta also would like their Eagles’ fans to know that during any Eagles’ game there will always be a FREE buffet during halftime when you watch the game and drink at one of their bars! Now that’s a deal you will NOT want to miss out on! You can find Basta Pasta on their website, on Facebook, or on Skippack Village’s website, by phone at (610) 584-0342. Call for reservations, or for your next takeout order!